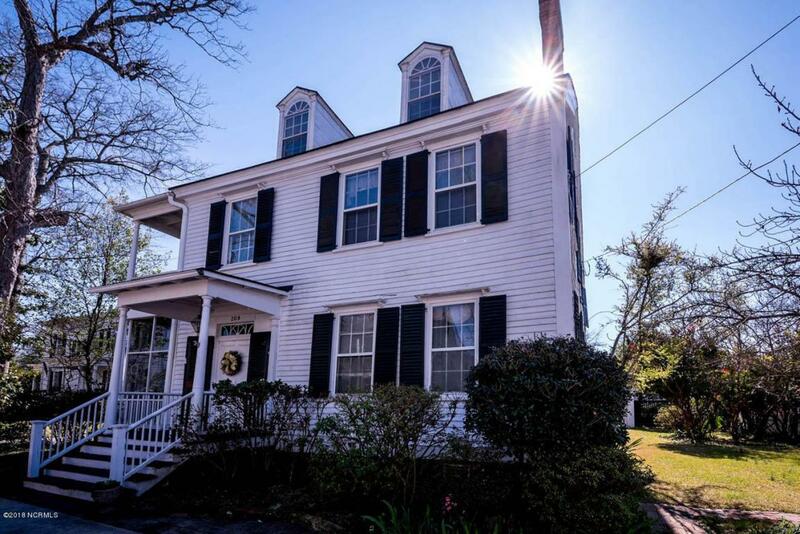 Own a part of early New Bern. 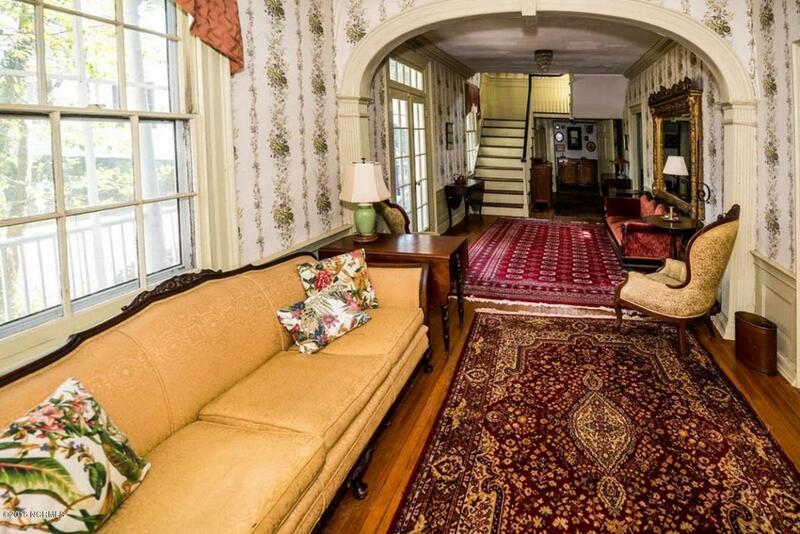 This c. 1820 stately historic home is a true gem. 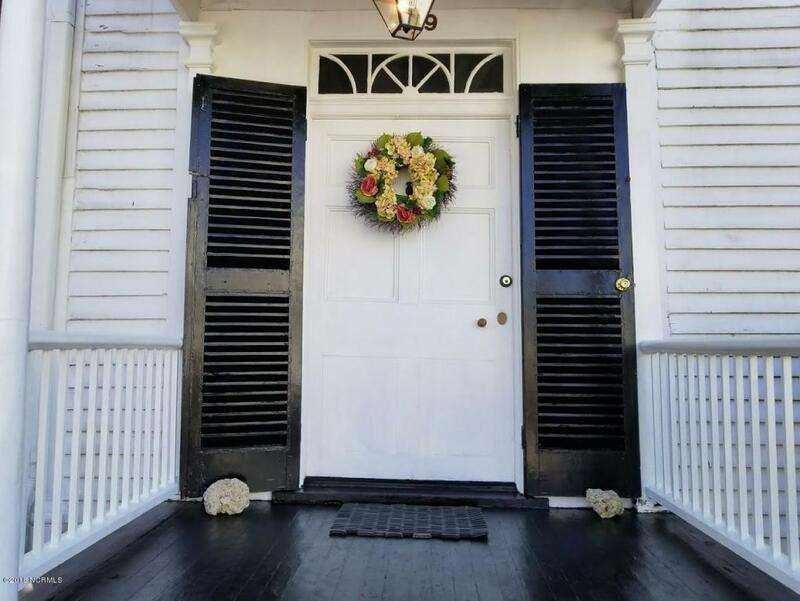 With a grand entrance hall, high ceilings, beautiful wood work, original fireplaces, 2 story covered porch, & spacious rooms, 209 Change Street is a classic example of a fine early New Bern home. There are 2950 heated sq.ft.on the first 2 floors and an additional 852 unheated sq.ft. on the 3rd floor for additional living space. The property can accommodate off street parking and features a garage/workshop, a charming backyard and a side yard. The house is livable as it is and can be stunning with some renovation. 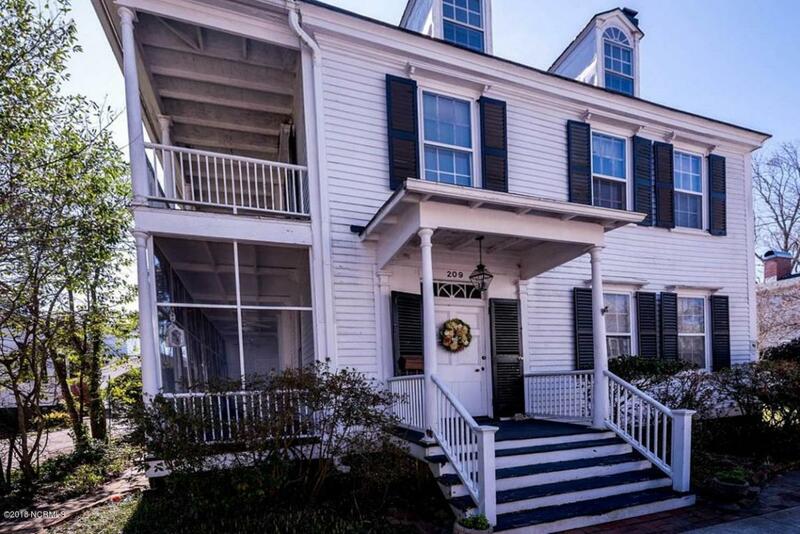 209 Change Street is an easy walk to downtown New Bern and the Neuse River. Call now for your opportunity to make a difference in historic preservation and in creating a legacy. Listing provided courtesy of Elaine Hiner of Coldwell Banker Willis Smith - New Bern.